Resistant, modern and high quality: stainless steel is the ideal material for making sophisticated bracelets. Stainless steel is often used as the base in Nomination jewellery to create innovative forms that really stand out. Our stainless steel bracelets are usually embellished with precious details: charms, symbols in coloured enamel, detailing in silver, gold, gemstones and pearls, and personalised inscriptions dedicated to the people you care about the most. Discover all our stainless steel bracelets for men, women, and kids. 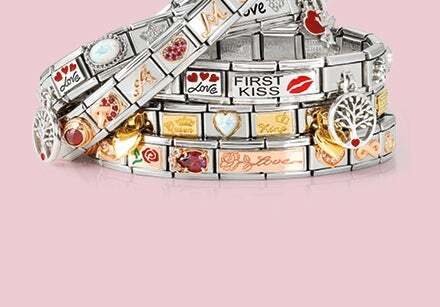 Among Nomination’s collections you’ll find several lines dedicated to creating unique bracelets just the way you want. Our iconic Composable Collection was designed so you could build personalised bracelets with Links and Charms related to life’s most important moments and more. 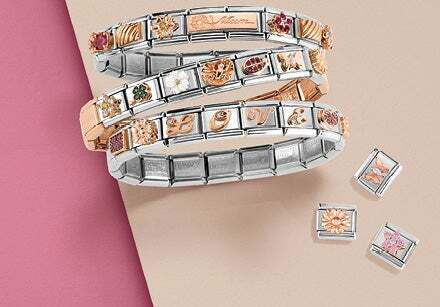 Every season there are new Links adorned with symbols, letters, gemstones and precious inscriptions which are in line with the latest fashion trends. 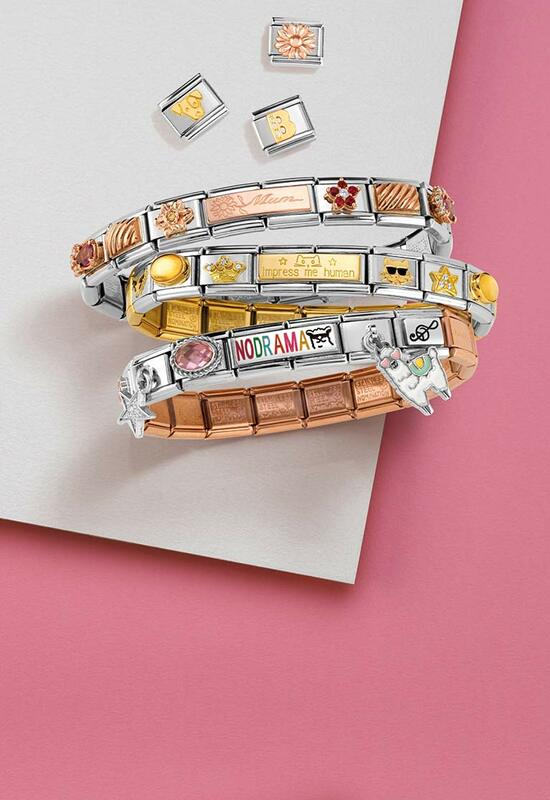 For a bolder look made from accessories that are one-of-a-kind, just like you, the Cubiamo and MyBonBons collections have coloured leather bracelets which you can decorate with charms dedicated to zodiac signs and gemstones, or with letters in gold to spell out your name or initials, or to write a message. Nomination has the perfect bracelet option for every occasion, whether it’s to surprise a loved one with a special gift or simply to treat yourself to a well-deserved little something. We’ve got the right bracelet for every budget. For example, for less than € 100 you’ll find delicate sterling silver bracelets decorated with good luck charms, gemstones and elegant Swarovski pearls, and bracelets in stainless steel and leather for him. There’s also a wide selection of stretch bracelets embellished with gold details, or ready-to-wear premade Composable bracelets prefect as an original gift for a wonderful man or woman. And last but not least, there are lots of ideas for kids: for the little ones, there are lots of adorable bracelets decorated with cute charms in coloured enamel.